Please fill out our short, confidential Information Form so that you can introduce yourself to us and we can keep you up to date with our most current company information and opportunities available across the country. We appreciate your interest in pursuing franchising opportunities with The $1 Store Plus or Only Deals®. If you have decided you would like to own The $1 Store Plus or Only Deals franchise, you will be required to complete our comprehensive Franchisee Profile. The profile enables us to assess your qualifications for owning one of our franchises. Once we determine that you are qualified, we will send you detailed information of current opportunities available within your investment range. Contact us at our toll-free number to receive the form. Please note you’re not obligated to purchase a franchise if you submit a Franchisee Profile to us. We are confident you will find our business as exciting as we do. If you are thinking of a future with us, be prepared to investigate the business and understand its success! Once we have approved your franchise application, we will invite you to join us at our corporate Head Office in Winnipeg, Manitoba. This visit will be a chance for us to get to know each other better to see if a partnership will be mutually beneficial. Since being in business is not for everyone, it is important for you to prove to us and to yourself that you are the right person to own The $1 Store Plus or an Only Deals® franchise. If we all agree that you are the right person for a franchise, upon store opening we will reimburse you for up to $1000 of the pre-approved expenses you incurred in visiting our Head Office. Please review all the information on this site about franchising with The $1 Store Plus and Only Deals®. Submit a confidential Franchisee Profile. You will be asked for information about your background, qualifications and interests. We also need specific information about your financial situation to evaluate whether you are financially capable to operate a franchise. This information is important for us to learn about you, just as you need to learn about us. Upon being financially approved, you will need to schedule a visit to our Head Office in Winnipeg, Manitoba. This meeting offers you the chance to learn in depth information about The $1 Store Plus and Only Deals®. We will present you with copies of our Franchise Agreement at this time. This is most likely the crucial step in deciding whether franchising is right for you. Take some time to process the information you have gathered and decide if operating The $1 Store Plus or Only Deals® franchise is what you really want. Take a hard look at your financial situation, business acumen and commitment. Consider seeking the advice of your attorney or accountant to give yourself as much information as possible before making your decision. After you have thoroughly researched The $1 Store Plus or Only Deals® franchise opportunity and are certain you have made the right choice, the signing of the appropriate agreements will then take place. If you have purchased a franchise, a real estate representative from our Head Office will now begin to consider a location for your business, subject to your approval. You must complete training prior to setting up your store. 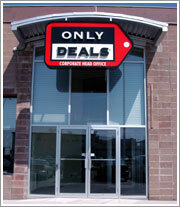 Work with The $1 Store Plus and Only Deals® Head Office to set up your store. With training complete, construction finished, inventory ordered and merchandised and staff hired, you are ready to open your doors. 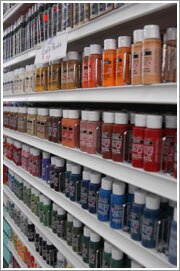 Receive more information from the $1 Store Plus and Only Deals Head Office.